Build A Hard-Working Workstation With 10500 Series Laminate From Hon, Our Bestselling Desk Collection. 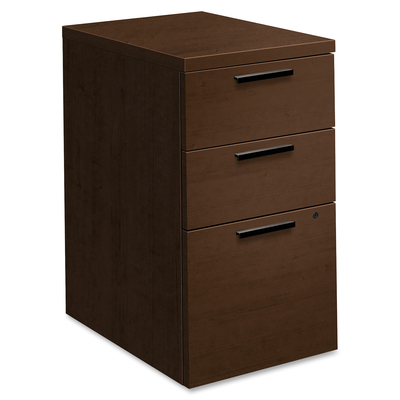 This Three-Drawer Mobile Pedestal Fits Into Any Desk, Return Or Credenza Shell, And Can Be Moved Anywhere In The Workstation. Two Box Drawers Provide Convenient Storage For Office Supplies, And One File Drawer Organizes Paperwork. Laminate Finish Color Is Mocha.. Build A Hard-Working Workstation With 10500 Series Laminate From Hon, Our Bestselling Desk Collection. This Three-Drawer Mobile Pedestal Fits Into Any Desk, Return Or Credenza Shell, And Can Be Moved Anywhere In The Workstation. Two Box Drawers Provide Convenient Storage For Office Supplies, And One File Drawer Organizes Paperwork. Laminate Finish Color Is Mocha.